Dental anxiety is an apprehension that something bad will happen on the dentist chair. “if I go to the dentist, it will definitely be painful, and the pain will definitely be unbearable”. 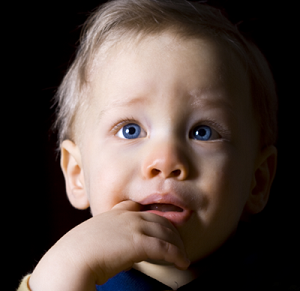 Dental anxiety has a high prevalence both among children and adults. Dr. Ellie Nadian, a Brisbane dentist, says that delay in appointments, appointment cancellation and failure to attend is quite high among adult patients with dental phobia. Anxiety can act like a barrier against dental care and oral health. Irregular attendance records can be a sign of dental anxiety in adults, she adds. Anxiety can be caused by an anticipation for pain in a dental treatment. Dental anxiety can also be induced by others. Sometimes anxiety can be relayed by parents to their children. If you are asking your child to hold your hand before a dental treatment starts, or if you are using alarming words like: “painful” or “needles”, you are probably creating an environment with an anticipation for pain. This environment can lead to even more dental anxiety in your child. It is sometimes recommended not to make visiting the dentist a “special event” for your child because of the same reason. Children or adults may acquire dental anxiety indirectly from others (friends, parents, siblings, etc). Vicarious dental fear is a fear response acquired through listening to fearful stories portrayed by others. Vicarious learning causes an individual to perceive a dental appointment as threat that needs to be avoided by cancelling the appointment or eliminated by, say, visiting a doctor (instead of a dentist) and hoping that antibiotics and painkillers can solve the dental problem. Is your Anxiety out of Proportion with the Actual Pain? The level of pain associated with dental procedures can range from low to high. A significant feeling of anxiety towards a low level of pain can be considered an out of proportion anxiety. Dentists use various techniques to lower anxiety in patients. It includes psychological and pharmaceutical techniques. These methods can be used to control anxiety and probably try to lower dental anxiety to at least the level proportionate to the actual level of pain. Unfortunately, a patient with dental phobia tries to avoid dental appointments as much as possible. Avoiding oral health maintenance appointments can lead to dental health issues. Patients with dental anxiety may book appointments but a large proportion of the appointments are cancelled out of dental fear. A large percentage of the patients of an emergency dentist in Brisbane includes people with dental fear. People who have been delaying or avoiding visiting the dentist out of fear. Anxious adults have the option of cancelling appointments, whereas children with dental anxiety are not provided with such options by their parents. In children, dental anxiety manifests itself with crying and screaming in the dental office. In most instances, using appropriate sedation techniques, dental anxiety can be managed and reduced to safe levels. Many dentists are experts in pain control and dental fear management in anxious patients. Dental anxiety may be reduced using positive distraction (e.g. music) or psychological techniques used to modify anxiety (show and tell). For some patients, psychological techniques are very effective. For others, medication can be more effective. Sedation through inhalation of an appropriate combination of nitrous oxide and oxygen has been recognised as a safe technique in children according to the American Academy of Paediatric Dentistry. Depending on the medical history of a patient, dentists may use nitrous oxide/oxygen sedation (a medicated gas also known as laughing gas, sweet air or happy gas) in dental clinics. 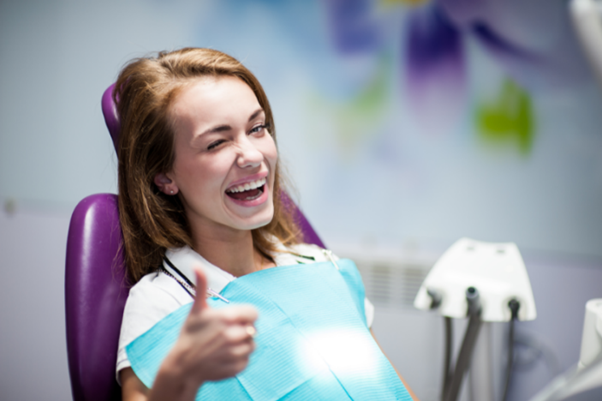 Laughing gas is used to manage dental anxiety and control moderate levels of pain. Many dentists are trained and equipped to administer laughing gas for the treatment of anxious patients. To learn how you can overcome your dental fear and if your dental fear or anxiety can be managed with nitrous oxide gas, consult with a laughing gas dentist in your local area. Dr. Ellie Nadian from Pure Dentistry is a dentist in Brisbane Southside. Tel: 0733434869, address: 11/1932-1974 Logan Rd, Upper Mt Gravatt, QLD 4122.